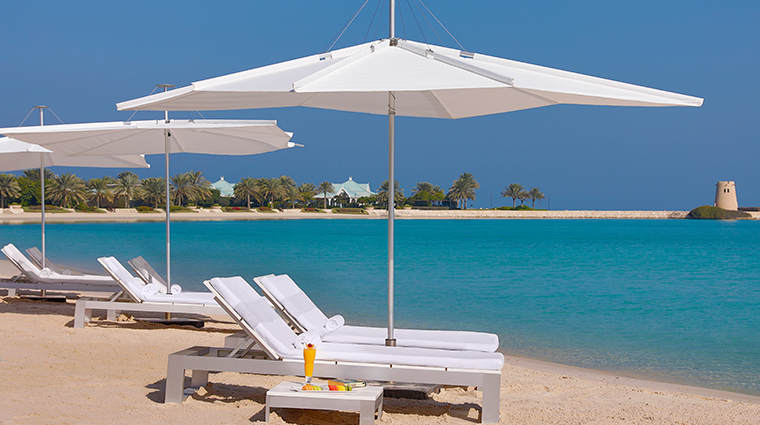 Boasting a beautiful gulf-front locale with a nearly 2,000-foot white-sand beach, The Ritz-Carlton, Bahrain beckons those seeking a tropical escape. But you’d be remiss if you didn’t leave your comfortable beachside chaise lounge and wander through the rest of the popular property. 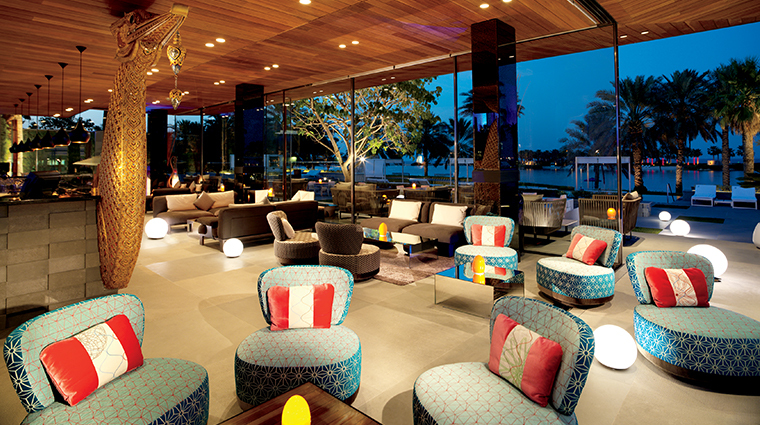 Enjoy afternoon tea or shisha at the BelleÉpoque-inspired Ritz Gourmet Lounge, visit the Chilean flamingos at Flamingo Lagoon, get a workout on the squash and tennis courts, practice your swing on the nearby 18-hole championship golf course, retreat to the beautiful spa or explore the gulf on a boat trip from the resort’s 37-slip marina. 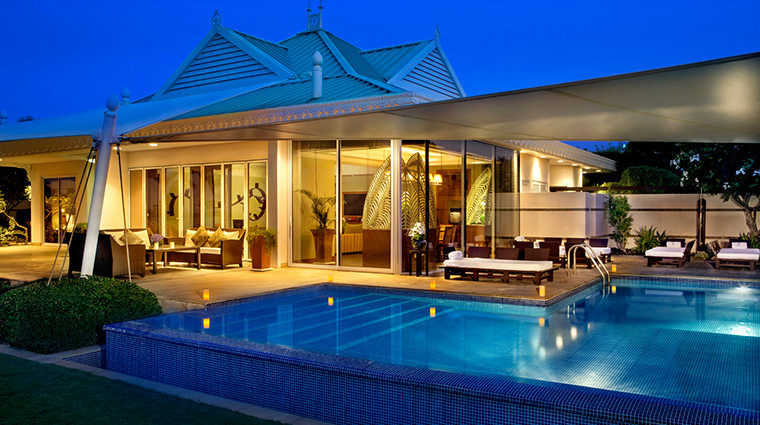 Whatever you choose to do, you won’t have to lift a finger at this sumptuous address. 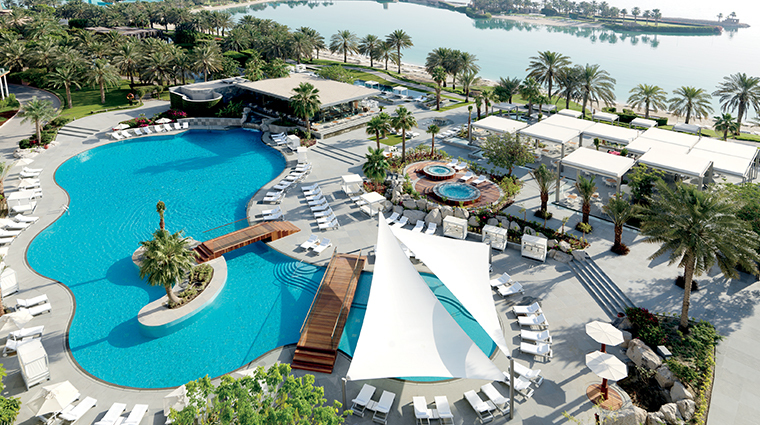 Set in the heart of Bahrain’s Seef district — home to several high-end shopping malls — the 20-acre beach resort plays host to a variety of special events throughout the year, making it the place to see and be seen, no matter the season. 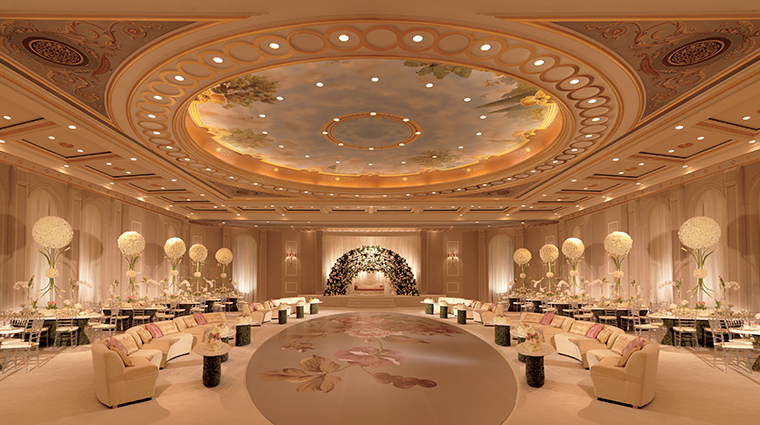 The main lobby, anchored by a giant sunburst in the center of the marble floor, provides an impressive and inviting entrance to the sprawling property. 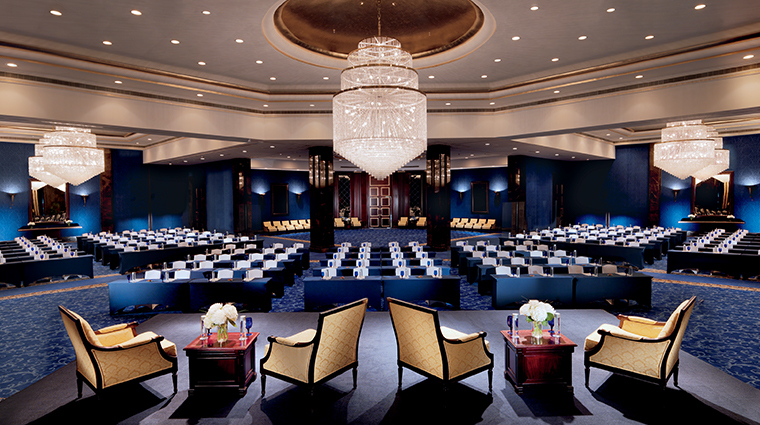 On Friday and Saturday afternoons, the mood is enhanced with live piano music. The one-of-a-kind beach and its sparkling turquoise lagoon feel like the Caribbean, but the sea views aren’t the only reason to step outside. 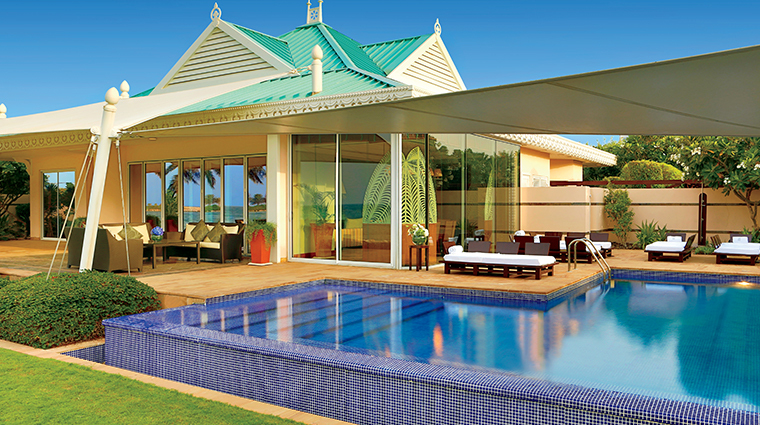 Lush green lawns, a jogging trail, a pond with flamingos and two outdoor pools give the entire resort a tropical vibe. 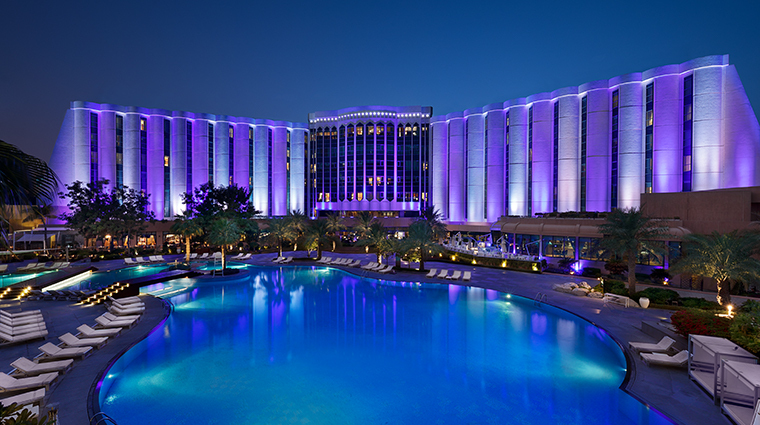 Winter is a particularly magical time at the luxury hotel, when the driving entrance is transformed into a tunnel of light, festive Christmas decorations adorn the property and the outside of the building is lit in red and white in celebration of Bahrain National Day. 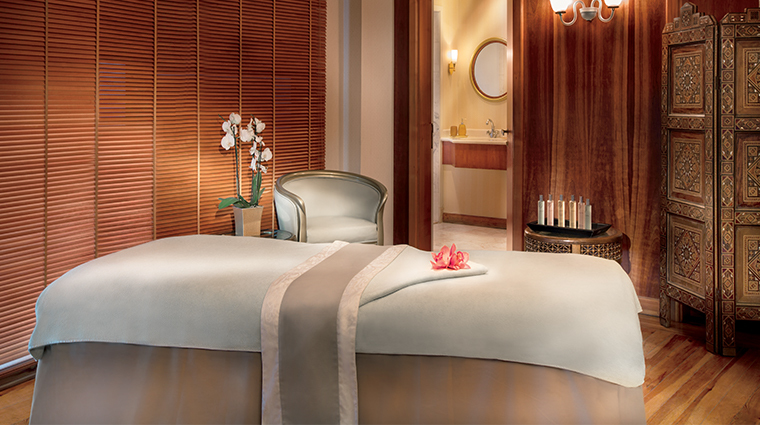 Head to the ocean-inspired spa for pampering. 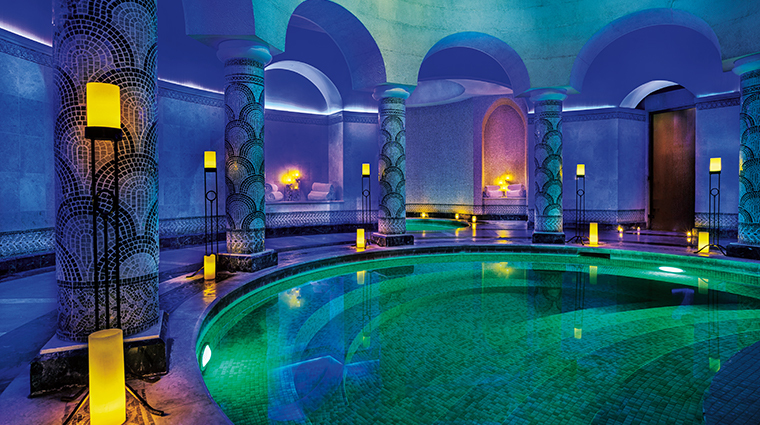 Be sure to make time for the hammam with four plunge pools set at different temperatures. 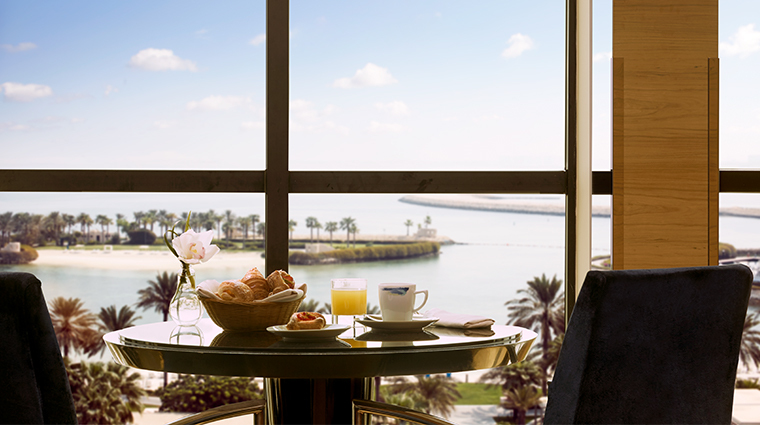 Nearly a dozen impeccably designed restaurants and lounges ensure you’ll never go hungry at this opulent Bahrain property. From Mediterranean and Mexican cuisine to classic steakhouse fare, the resort offers something for every palate. 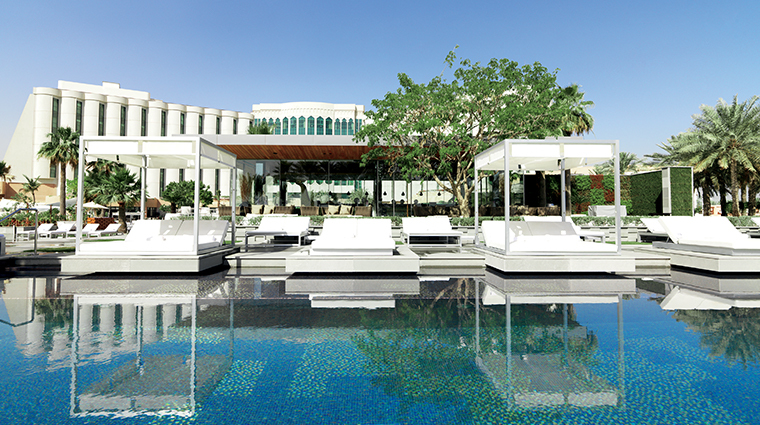 In cooler months, The Ritz-Carlton, Bahrain hosts a stellar pop-up farmer’s market on the grassy lawn, complete with local produce, crafts, children’s activities and a traditional Bahraini breakfast. 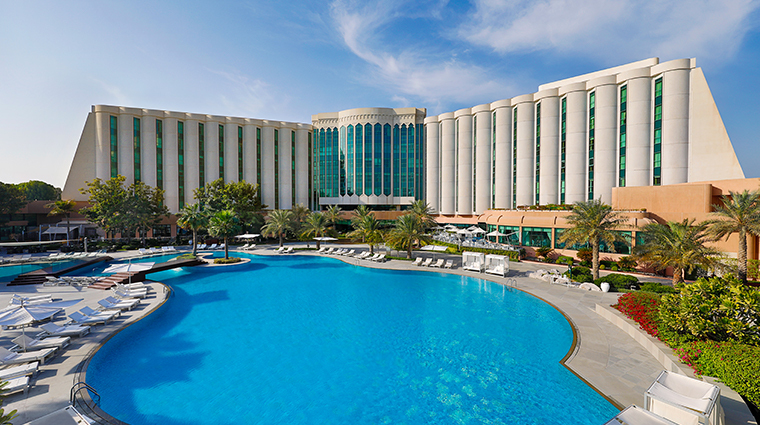 The Bahrain hotel boasts two large ballrooms and several meeting rooms, making it a popular choice for events, including the annual Manama Dialogue regional security summit, which brings in military and government leaders from around the world. The beach resort provides a kid’s club for children ages four through 12 with activities like face painting, dodgeball, story time and cooking class, as well as exclusive seasonal camps. Several of the property’s dining venues are closed during the month of Ramadan, so be sure to call ahead to avoid disappointment. If you want an upgrade on the private hotel shuttle from the airport, The Ritz-Carlton also offers limousine service, which includes the BMW 7 series or a Rolls-Royce with a chauffeur. The 245-room beach retreat offers 31 spacious suites, as well as 42 Club Level accommodations, which include access to the luxurious Club Lounge. 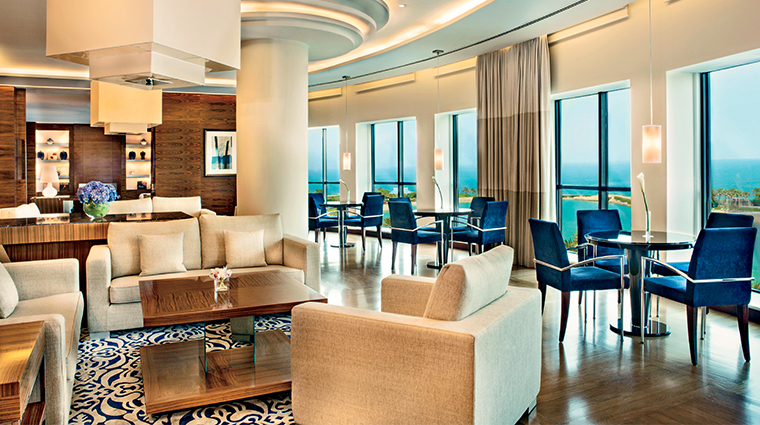 This exclusive top-floor lounge has sweeping views of the Arabian Gulf and provides complimentary food and drinks throughout the day. 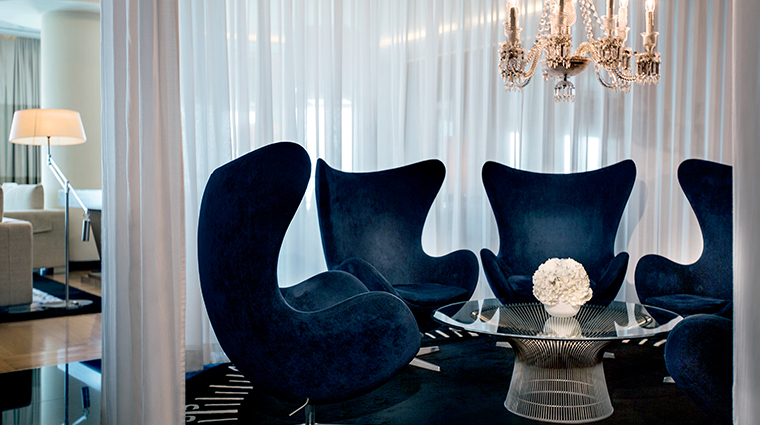 Even the standard rooms are filled with stylish and high-quality décor and furnishings, though some have small windows and limited views due to the design of the building. Spacious bathrooms include luxurious rain showers and separate soaking tubs stocked with the resort’s signature Asprey toiletries. The most opulent of the accommodations are the 23 seafront villas, each with its own private pool, beach access and 24-hour butler service. 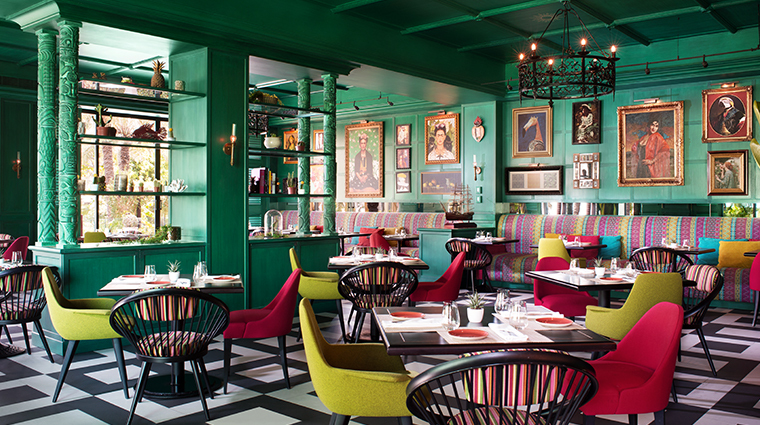 Step into the colorful Cantina Kahlo for authentic Mexican cuisine in a hip setting. In addition to delicious food and a beautiful terrace with water views, this chic spot also has a spectacular Saturday fiesta brunch. 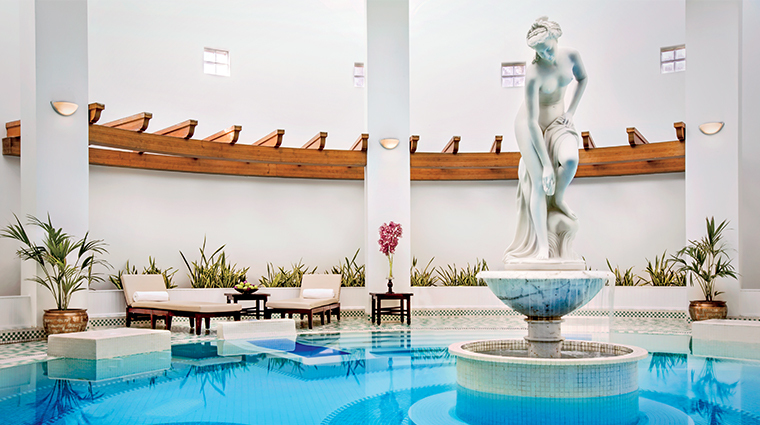 The light-filled La Med serves lavish breakfast and lunch buffets as well as a swanky Friday brunch in its stylish blue and white dining room overlooking the pool and gardens. Primavera has a menu by noted chef Oliver Glowig that’s filled with Italian dishes focusing on local and seasonal ingredients. 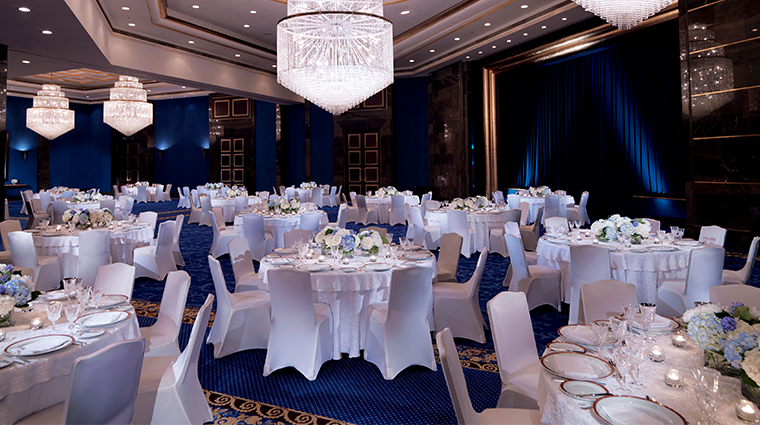 Savor the cuisine of India in a regal setting at Nirvana. The red and gold décor and live music enhance executive chef Mahipal Singh’s flavorful plates to create a memorable meal. 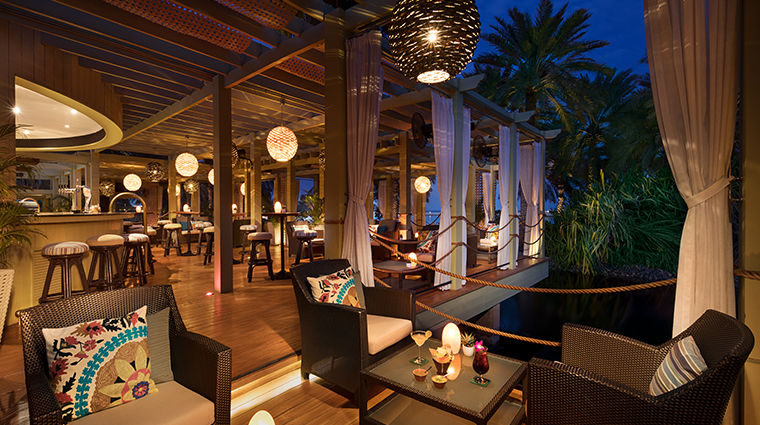 Three open-air eateries — Thai, Kahlo Club and La Plage — afford sublime views along with lights bites and cool cocktails, so you don’t have to leave the sandy shore to find sustenance.